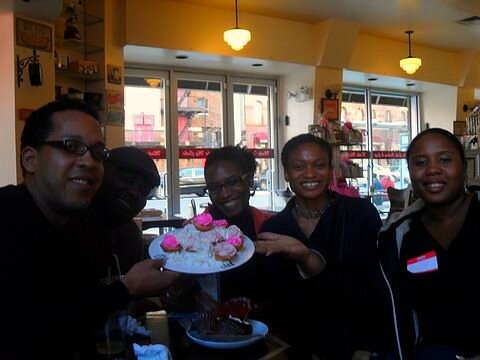 Yesterday, we had a Cupcake Meetup at Make My Cake in Harlem. It was our 57th cupcake meetup and it was so nice to see new people attend including Harlem bloggers Michael from Greasy Guide and Tyrone from Tru Fashionista Now. 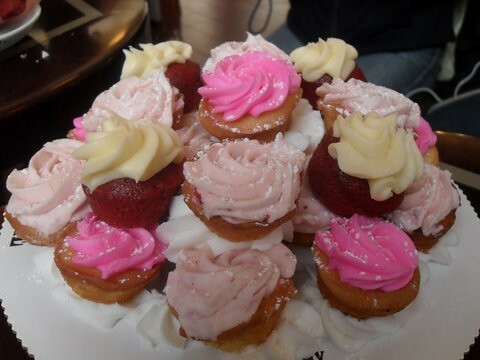 Owner Aaliyah Baker surprised us with the beautiful mini-cupcake tower. 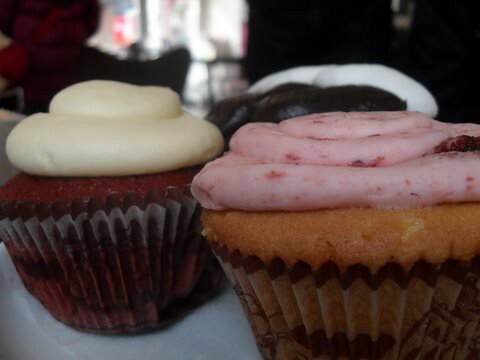 A trio of Make My Cake cupcakes: Red velvet, strawberry and black and white cupcake. 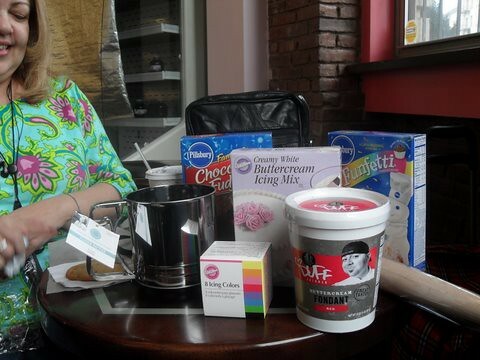 The Cupcake Meetup attendees were in for a treat as I gave away some product from Pillsbury, Duff Goldman, Martha Stewart and Wilton. 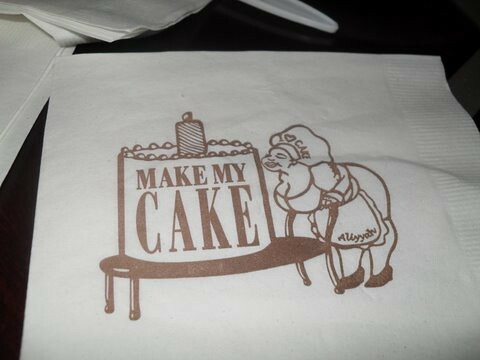 I love the napkins at Make My Cake. Little touches like this are a great to make a bakery stand out. BTW, there was a celebrity sighting while were eating cupcakes. I saw Law & Order's S. Epatha Merkerson who looked great as she was picking up an order.